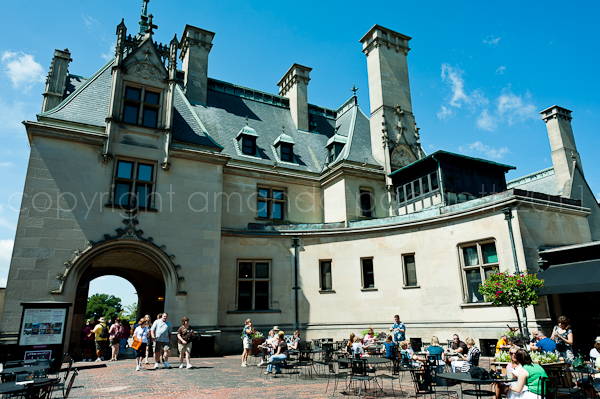 While at the Type A Parent blog conference, my blogging friend, Super Jenn, was able to procure passes for a few of us to tour the Biltmore Estate. This was a huge blessing for me and I want to share a little bit about my visit and some of the pictures I snapped while there. 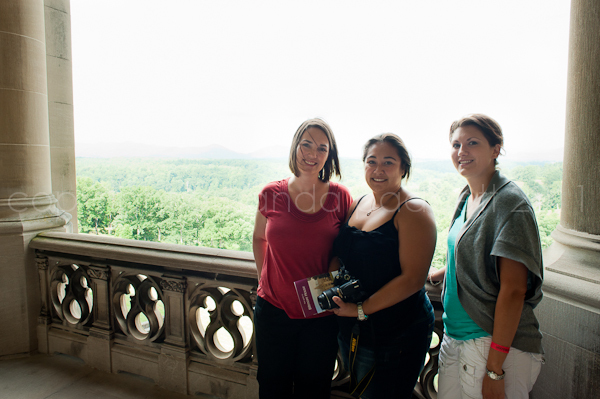 A little back story…my mother loved Biltmore and took both of my sisters to see it. She wanted to take me for my birthday but it never worked out, either because I was at college or work and couldn’t get away the day she went, or when I could she was working. She died when I was 21, without us ever going. 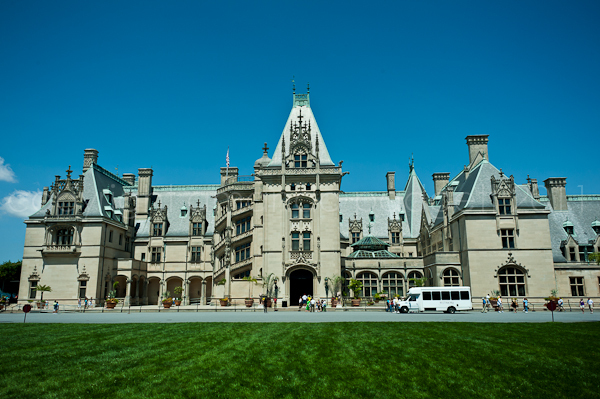 Whenever I heard Biltmore, I would think of my mother and her unrealized desire for me to see it. Over the years my husband and I talked about going but honestly could not justify the cost of the tickets, so here I was nearing the 11th anniversary of my 29th birthday and I still had not been to the famous home. When Jenn asked if I could go, saying I jumped at the chance would be an understatement!! The other sweet ladies with Jenn were Shannon from Window Seat Books and Monica from Mommy Brain Reports. They were all delightful and I had truly had a lovely morning with them. The house was beyond beautiful. The interior (which we could not photograph) was incredible, with no expense spared. I found myself closing my eyes and envisioning what it was like as a new home at the turn of the century, with guests filling out the bedrooms, sitting rooms and parlors. We ventured outside to peruse the grounds but honestly never got further away than a stones throw from the house. We were tuckered out and knew we did not have time to go far as we had to get back to the conference. The front lawn was a good spot for taking shots of the house. The one at the top was taken with my D700 and Nikon 24mm f2.8 lens. With the wide angle of the lens and the full frame sensor, I was able to get a full shot of the home without backing too far away. Because the D700 and three lenses were not heavy enough, I brought along my Canon G12 for quick shots and for video. Honestly I wish I had left the D700 at the hotel and just used the G12. Below is a slideshow of pictures from that camera alone. Thank you Jenn and Biltmore for a wonderful morning!! I plan to go back with my husband in the fall and take the whole day viewing the house and grounds. If you are planning to go soon, wear good walking shoes, do not take small children (you cannot take a stroller through the house), take the lightest, efficient camera you have, not the biggest and baddest. Oh, also, it takes like 20 minutes to drive out of there, but don’t rush it. We all thoroughly enjoyed the scenic drive and captured more images from the car (thanks Monica for humoring us). Oh, Amanda! I’m so happy you had this opportunity! Thank you for sharing your story (and pictures). When my husband and I lived in NC several years ago, we had a chance to go to Biltmore. I remember it being as grand as you say but most of all I remember the pool area. It captured my fancy somehow. I LOVE, LOVE, LOVE the Biltmore and I am so happy that you were finally able to see it! I took my husband there this past Thanksgiving because he had never been. It was decorated for Christmas and simply beautiful! We took a tour during the day and then went back that evening for the Candlelight walk through. Although the gardens were dead because of the terrible winter they had already had I thoroughly enjoyed walking through the greenhouses! The first time I went was in the fall. The gardens were gorgeous and the leaves were beautiful! I would love to go sometime in the Spring and walk through the massive garden and grounds. I hope you have the time to walk around when you get back there in the Fall! I think you’ll love it too! Great post, Amanda! I’m glad that you were finally able to visit Biltmore! I had a great time with you all. Your photos are excellent. My husband and I are going to the Biltmore in August to celebrate our 30th anniversary! Can’t wait and enjoyed your photos! How wonderful that you finally got to visit! We’re been several times, since we only live less than three hours away. We most recently visited in May when we had out-of-town guests. Next time, you’ll need to take a long walk (or trolley ride) to see the formal gardens and greenhouse. There are lots of photo opportunities. You can also drive through the estate and get a terrific view of the back of the home, sitting up on the hillside.